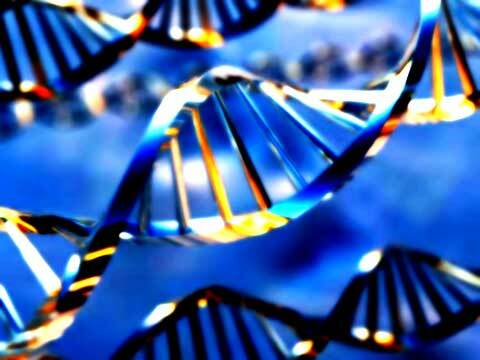 Sandpoint , ID — More than a map of life, DNA processes spirituality according to the latest research. A lengthy review of scientific achievements in the field of genetics compiled by a team of experts indicates that life evolved from spiritual, more than physical, forces. Three years of multidisciplinary study by a team of health science, mathematics, genetics, and physics experts, indicates that DNA, traditionally considered the “blueprint of life,” appears more like an “antennae to God.” Led by internationally known public health authority and award winning author, Dr. Leonard Horowitz, the group's research, to be published in October, shows that DNA's coiled design, vibrating action, and “electrogenetic” function makes spiritual as well as physical evolution possible. Life's genomes are empowered by waves and particles of energized sound and light which, more than chemicals or drugs, switch genes “on” or “off.” Likewise, genetic inheritance is energetically transmitted “bioacoustically and electromagnetically” through special water molecules that form the electrogenetic matrix of the “Sacred Spiral.” These hydroelectric geometric structures—most shaped like pyramids, hexagons, and pentagons—direct physical as well as spiritual development, according to researchers. Metaphysically, water molecules shaped like pyramids relay energy messages to and from DNA. These signals are carried from the environment to every cell in your body; far more rapidly than scientists once believed based solely on chemical analyses. These findings raise important questions concerning theories underlying modern medicine, spirituality, and even reincarnation according to Dr. Horowitz. The realization that energy messages, including ancient ancestral memories, may be relayed electro-genetically can help in healing, lending spiritual meaning to life, and reconciling “past life” experiences. 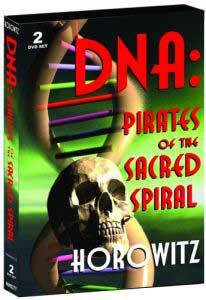 The science reported in DNA: Pirates of the Sacred Spiral, published by the not-for-profit Tetra hedron Publishing Group ($29.15; 1-888-508-4787), links the genetic revolution to a “spiritual renaissance.” After polling nearly 10,000 people internationally for background research, the Harvard-trained Dr. Horowitz concludes “more and more people are experiencing increased synchronicities and even miracles in their lives... Working on special projects, they suddenly and inexplicably manifest everything they need to facilitate their service, purpose, or unique calling. This is a form of genetic expression as much as eye color,” he says. Their soon to be published, meticulously documented, book is written for “intelligent lay readers and above.” It argues that quantum energy, often called spirituality, animates evolution of the species, genetic expression, and life. The authors believe such awareness and growing social consciousness bodes well for the entire planet. It gives me great pleasure to announce the first, limited edition, printing of my fourteenth book, which I sincerely believe is my most important work to date. Following three years of laboring with love and a team of geniuses, DNA: Pirates of the Sacred Spiral will be shipped in early September. 2) It thoroughly exposes the global criminal elite that pirated “The Human Genome Project” two weeks prior to its completion and intended benefit to public health and societal enrichment. Instead of blessing university professors that labored tirelessly for decades on this project, or the taxpaying public that largely funded this work, George Soros and a cadre of evil scientists and drug industrialists stole the entire project. They privatized it, patented every potentially lucrative genetic sequence, and are now in the business of altering, possibly forever, the genetics of life—humans, joining myriad other species, in the real risk of likely extinction. Attached is our first of several important press releases on this new material for your perusal and distribution to other friends and families in your personal network. Please help us get this critical information in widespread circulation. Also, many of you may be able to hear me discuss this information on several nationally syndicated radio programs in the coming weeks. Interviewers who have already scheduled to feature DNA: Pirates of the Sacred Spiral on their shows include: Joyce Riley on “The Power Hour” August 19 th , 6AM-8AM PST; George Noorey on “Coast to Coast” on August 25 th , 11PM to 2AM PST; Jeff Rense on “The Jeff Rense Show” on August 26 th , 7PM-10PM PST; Bill Boshears and others to be announced in the coming weeks. Moreover, as our Steam Vent Inn & Health Retreat project nears full operation in the New Year, I will likely be joinin g y ou more routinely over the Internet and on national radio. Please stay in contact with me through our Idaho office to learn more about these exciting projects for 2005, and Creator will ing, beyond! Much love in the aloha Spirit!